Too moon-soaked to be substantial. 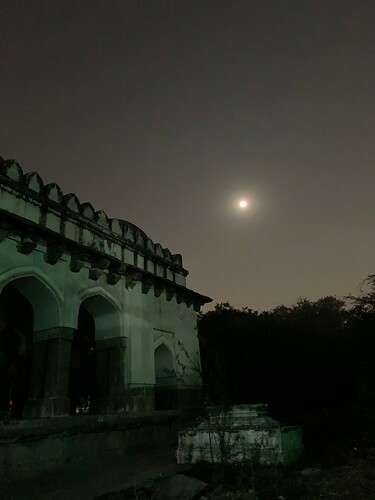 As soon as the sun sets, the Lodhi-era Barah Khamba, tucked within an unlit park, starts marinating in darkness; its 16th century stone walls and dome gradually become less visible. Finally it can no longer be seen. 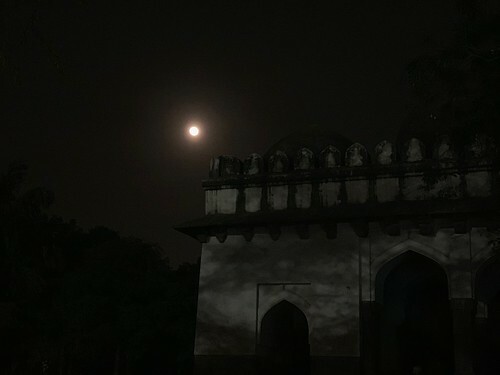 The same monument, however, acquires a transcendental glow under a full moon sky. 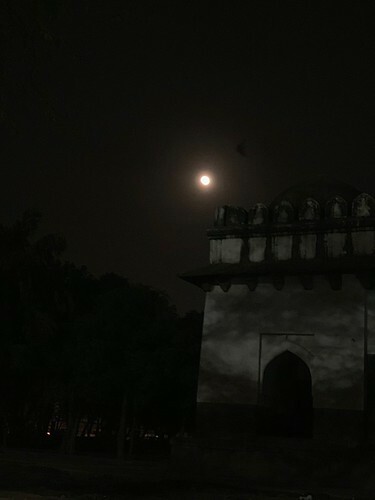 The lunar light gathers about the building and softens its solidity to a barely perceptible shape. At this moment, the centuries-old landmark seems so fragile that you fear that its stones might dissolve any moment. In the morning, however, Barah Khamba loses its ethereal prospects but still retains its grace. By noon it becomes a shelter to a host of slumbering citizens; providing a cool floor to frolicking children and sleeping Delhiites who perhaps haven’t asked themselves whether the monument indeed has 12 pillars as its name suggests. Well, if you count those pillars, and count them again, you’ll realise that whatever else can be said, there are certainly more than 12 pillars supporting the magnificent vaulted roof. 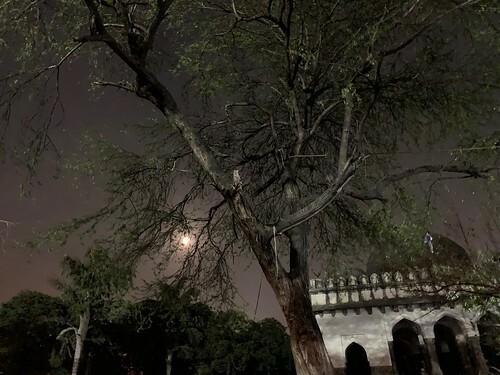 Nor is it clear whether the Barah Khamba ever housed a grave, though there are a handful of them just outside. 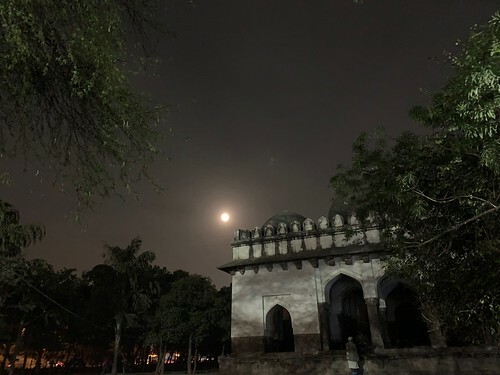 While the monument isn’t found on must-do tourist lists, you are strongly recommended to gaze upwards at the circular ceiling inscribed with calligraphic designs. And, of course, do count the pillars yourself. 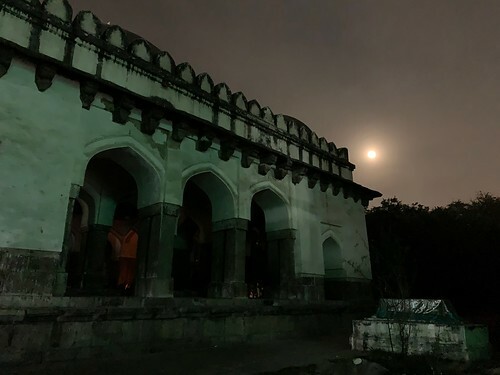 The most appropriate way to cherish Barah Khamba is to visit it on moony nights. 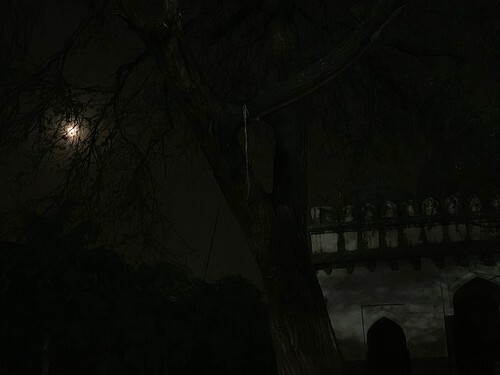 Since the park is closed by that time, you can view it from Ghalib Street in Hazrat Nizamuddin Basti. The aged edifice lies just beyond the fence—looking too flattering dreamy to be substantial.